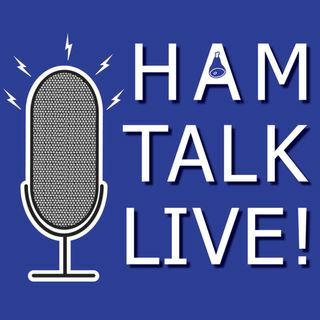 Episode 156 - Traveling Abroad with Ham Radio | Ham Talk Live! Dan Henderson, N1ND, the ARRL Regulatory Information Manager, will take your calls about traveling outside of the USA with ham radio! We will mostly talk about licensing issues such as reciprocal operating agreements, CEPT, obtaining a license in another country, and permissions that need to be obtained to operate outside of the US. But, we will also talk a little about traveling with gear on planes and ships. Be sure to CALL in with your questions and comments by calling 812-650-9556 live ... See More during the call-in segment of the show. You can also tweet your questions before or during the show to @HamTalkLive. If I went to Japan or any other and bought a rig from that country that is not FCC approved since it would transmit off frequencies on the US bands but had to operate on the countries band plan with that import rig and then bring back that back to the US, would it be a big deal if the rig had some portions of the US band plan or would be illegal? i had a uk ham come to my ve session and took the tech n general here. Cause his uk license would not let him operate 146-148. His uk license only 144 to 146. So now he can operate on all general class US freqs. I thought that was weird. I think I'm thoroughly confused more now about CEPT than five minutes ago. Hehe. is the canada band plan and pwr limits the same?